>> Read the report, Pathways to Equity: Narrowing the Wage Gap by Improving Women’s Access to Good Middle-Skill Jobs or the Executive Summary. Half of the gender wage gap is due to women working in different occupations and sectors than men. Improving women’s access to good middle-skill jobs—in growing sectors, such as manufacturing, IT, and transportation—can help close the wage gap and improve women’s economic security. Visit womenandgoodjobs.org, to read the report and explore an interactive, searchable database of middle-skills jobs, which helps users identify pools of skilled women workers who could be tapped to fill shortages, ensuring that the economy benefits from the talent of its whole workforce. As nearly 5 million undergraduate students raising children return to college this fall, a new IWPR state-by-state and national analysis finds that campus child care is declining in 36 states across the country, and that many states have rules making it difficult for students to get child care subsidies. For the nearly 9 in 10 (88 percent) student parents living in or near poverty, paying for child care can be an insurmountable obstacle. IWPR’s analysis finds that, rather than assisting students with the high cost of child care, 11 states require college students to also be employed to be eligible for child care subsidies. In 3 states—Arizona, Kentucky, and Washington—parents are required to work at least 20 hours per week in addition to attending school, an amount proven to diminish rates of college completion among students overall, in order to be eligible for subsidies. IWPR’s updated fact sheet clarifies the most common myths about gender wage gap statistics. IWPR’s researchers note that a pay gap of 79.6 percent accurately describes the pay inequality between men and women in the labor force and reflects a variety of different factors, including: discrimination in pay, recruitment, job assignment, and promotion; lower earnings in occupations mainly done by women; and women’s disproportionate share of time spent on family care, including that they—rather than fathers—still tend to be the ones to take more time off work when families have children. In fact, the annual wage ratio of 80 percent is actually a moderate estimate of gender pay inequality. Women of color fare much worse, with Black women making 63.3 percent of what White men earn per year and Hispanic women making 54.4 percent. Women earn less than men in almost every occupation and are four times more likely than men to work in jobs with poverty-level wages. If current trends continue, women will not receive equal pay until 2059, according to a related IWPR analysis of trends in earnings since 1960. If women earned the same as comparable men—men who are of the same age, have the same level of education, work the same number of hours, and have the same urban/rural status—poverty among working women would be cut in half and the US economy would grow by $482.2 billion. A new IWPR national and state-by-state analysis of breadwinner moms finds that four in five Black mothers and two in three Native American mothers are breadwinners, compared with fewer than half of White and Asian/Pacific Islander mothers. Breadwinner moms are either raising children on their own or contributing at least 40 percent of a married couple’s earnings. The majority of Black, Native American, and Hispanic breadwinner moms are single and raising a family on their own, while the majority of White and Asian/Pacific Islander breadwinner mothers are married. Four in 10 American workers lack access to paid sick days, with access less likely among Hispanic workers and workers in low-wage and food service jobs. A recent IWPR briefing paper compiles all available social science and policy research, which show that paid sick days are associated with benefits to employers—including reduced contagion in the workplace, improved productivity, decreased workplace injuries, and lower employee turnover—and employment benefits to workers, including greater job stability and labor force attachment. Another IWPR report compiles available research and data on the access to paid parental leave and the benefits of such a policy. A growing body of research suggests that paid family leave increases labor market attachment, economic security, and the health and welfare of families and children, and has the potential to help businesses thrive, reduce spending on public benefits programs, and promote economic growth and competitiveness. Follow @IWPResearch on Twitter and Facebook. 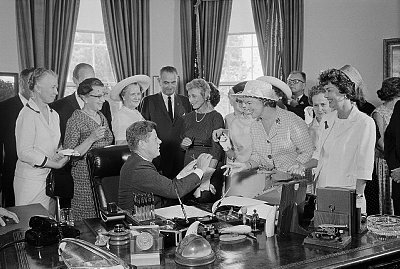 To commemorate the 50th anniversary of 1963’s American Women: Report of the President’s Commission on the Status of Women, the Women’s Bureau of the U.S. Department of Labor sponsored a series of Scholars’ Papers. As part of this effort, IWPR prepared papers on parental leave and on occupational segregation and the wage gap. Paid Parental Leave in the United States reviews research and data sources on paid leave for family related purposes. Despite the recommendation in the 1963 report that paid maternity leave be pro­vided for female workers, it took another thirty years’ for the passage of the federal Family and Medical Leave Act of 1993 (FMLA) to provide at least unpaid job protected maternity and paternity leave. Due to the structure of the FMLA, as of 2012, only 59 percent of workers were eli­gible for FMLA leave. With the exception of a few states with more generous family leave policies, FMLA leave is unpaid, and many families cannot afford to use it as much as they would like. The IWPR paper also details previous research on the economic and health benefits of paid family leave. Paid family leave can improve the labor force at­tachment of workers, improve employee morale and productivity, reduce worker turnover, and positively impact economic growth. Such benefits to firms may help offset the costs of implementing paid leave policies. Research further suggests that expanding paid leave is likely to have economy-wide benefits such as reduced spending on public assistance programs and increased labor force participa­tion. Access to leave, whether it is paid or not, can increase breastfeeding rates and duration, reduce the risk of infant mortality, and increase the likelihood of infants receiving well-baby care and vaccinations. The paper also reviews federal data sources on paid and unpaid leave and highlights gaps and inconsistencies in the information avail­able. The paper argues for a more sys­tematic federal effort to improve the data infrastructure on this important benefit for working families. Occupational Segregation and the Gender Wage Gap documents changes since the 1960s in the types of jobs that men and women perform and links those trends with recent lack of change in the gender wage gap. Women have made large strides toward equality in the labor force, including increasing their representation in occupations that have traditionally been dominated by men— such as management, accounting, and law. However, not all occupations have seen increased integration over the years, and many remain heavily male- or female-dominated. The paper docu­ments that progress has stalled, point­ing out that both progress in improving occupational integration and progress in closing the gender wage gap stalled at the beginning of the last decade. This relationship suggests that occupa­tional segregation should be a priority of policy efforts to address the wage gap, either by focusing on encourag­ing women to enter more integrated or male-dominated occupations, or by im­proving earnings in female-dominated occupations, or both. The papers are available on the Women’s Bureau website and on IWPR’s website. 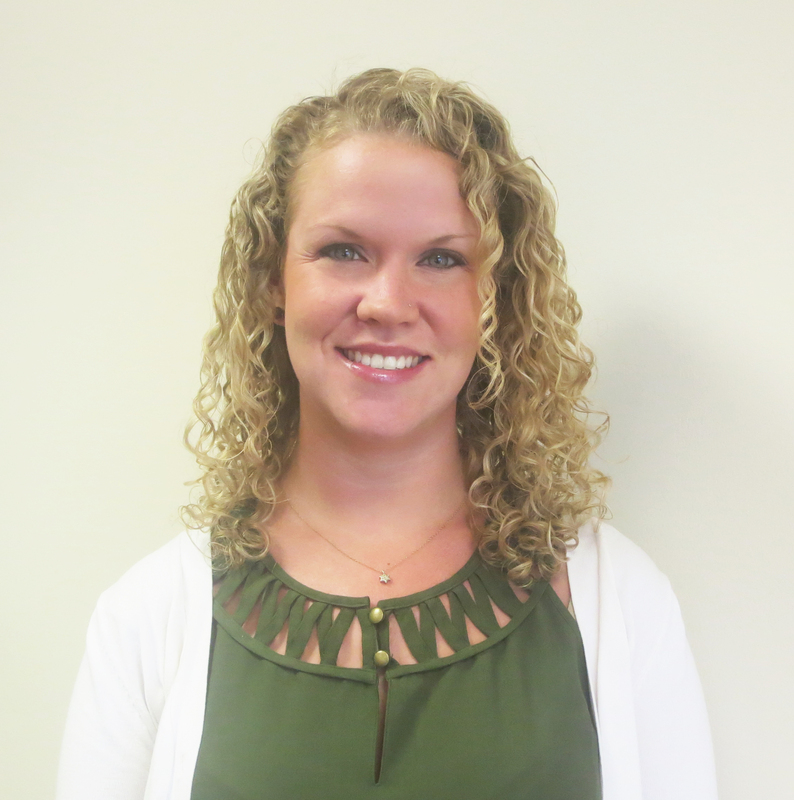 Jessica Milli, Ph.D. is an IWPR Senior Research Associate. Glenn Kessler presents a very one-sided discussion of the wage gap in this April 9th “Fact Checker” post in which he increased President Obama’s rating on his use of wage gap statistics from one Pinocchio (in the 2012 campaign) to two—he should have lowered it from one to zero. President Obama has correctly used a long standing data series issued every year by the Census Bureau. The 77 percent wage ratio figure is an accurate measure of the inequality in earnings between U.S. women and men who work full-time, year-round in the labor market. 1) Kessler claims that President Obama uses the 77 percent wage ratio figure because it shows the biggest wage gap when other data series available from the Bureau of Labor Statistics show slightly smaller gaps. Leaving aside how Kessler could get inside the President’s head and know why he picked a certain series, everyone who writes about this issue should know that this figure based on median annual earnings is the historical headline figure that allows the longest comparison across time. 2) Kessler claims that the other series—weekly or hourly earnings—are more accurate, but there is simply no basis for saying so. The 77 percent figure actually includes the broadest range of kinds of earnings; for example annual bonus payments are a big part of remuneration in some fields and are included in the 77 percent figure, but are excluded from the weekly or hourly earnings figures. 3) In his first fact check column (posted online at 6:15 am on April 9, 2014), Kessler failed to note that other measures show a much larger gap than the 23 percent figure President Obama used. If part-time workers were included, a figure that Statistics Canada uses, the wage ratio would be 71 percent and the gap 29 percent. The United Kingdom has used life-time earnings ratios. One IWPR study found that across 15 years (ending in 1998, using the Panel Study of Income Dynamics), the typical American woman earned just 38 percent of the typical man. The Urban Institute, using Social Security earnings data, finds that the typical wife earns about 50 percent of what her husband does across their working lives. Kessler had updated his column to add mention of these other measures, but fails to alter his conclusion that the President used the biggest wage gap. In fact, the figure the President used falls in the middle of the range and is the one most commonly used for the past 60 years. 4) Kessler emphasizes that women ‘choose’ different and lower-paying college majors than men and seems to think such differences mean that the wage gap measure is not a good measure of economy-wide wage inequality. ‘Choice’ is, of course, an unverified assumption. There is considerable evidence of barriers to free choice of professions, ranging from lack of unbiased information about job prospects to actual harassment and discrimination in male dominated jobs. It is highly likely that there are many women who are freely choosing to become social workers, and are making well-informed decisions, and the same is likely to be true for men choosing to be engineers. However, there are no hard facts on how many, or indeed, how many would ‘choose’ otherwise in a world of complete information and nondiscriminatory employment. For example, in a world where half of engineers were women and half of social workers were men, men and women might ‘choose’ very differently than they do now. We do know that young women and men generally express the same range of desires regarding their future careers in terms of such values as making money and having some flexibility and autonomy at work, as well as time to spend with family members. 5) There are legal cases, as well as social science research studies, that show that, just by the mere fact of being a mother, women’s advancement opportunities shrink, and just by being a father, men’s grow. Yet, there is no proof that being a mother makes a woman less productive on the job. And why should women who may be decades past the phase of active childrearing still be suffering a wage penalty? While it is true that women typically take more time away from work for child rearing than do men, that decision often makes economic sense when a wife’s wages are lower than her husband’s—equal pay would likely lead to more equitable sharing of child rearing and to women and men working in the labor market about the same amount over their lifetimes. Research shows subsidizing the cost of child care and providing paid parental leaves of up to six months would help women and men return to work sooner. While Kessler has said the goal of his Fact Checker column is to provide needed context to what political leaders say, this is a part of the needed context he omitted entirely. 6) It is true, as Kessler notes, that when factors such as occupation and parental or marital status are used as control variables in statistical models aiming to explain what ’causes’ the wage gap, the size of that gap will be reduced, and what is left unexplained is generally thought to possibly be the result of discrimination. But it is just as likely that discrimination affects these ‘control’ variables as well as the size of the remaining gap. Unfortunately, Kessler cites only the literature that ignores the possibility of discrimination affecting the control variables. He cites economist June O’Neill, well-known in the field for her opposition to government intervention to reduce the size of the wage gap. He also cites a study commissioned by the George W. Bush administration and done by a conservative research firm, CONSAD, which Kessler “camouflages” by saying the St. Louis Federal Reserve Bank cited it. Kessler fails to cite peer reviewed literature surveys published in mainstream economics journals, including papers by Francine Blau and former Acting Secretary of Commerce Rebecca Blank and co-author Joseph G. Altonji. These latter studies estimate that 25-40 percent of the gross wage gap remains unexplained when factors reasonably thought to affect productivity are included as control variables in the models. The 77 percent figure covers everyone working full-time, year round and does not reflect only women and men doing exactly the same job in the same firm; however, it does reflect women and men working full-time, year round not earning the same. The wage gap figure reflects a number of different factors: discrimination, lower earnings in occupations mainly done by women, and also the fact that women still tend to be the ones to take more time off work when families have children. Just because the explanation of the gender wage gap is multi-faceted does not make it a lie. We should note that on occasion, many politicians—including U.S. presidents—journalists, and others present the 77 percent figure as comparing men and women who do the same jobs, and this unfortunate tendency has led to great confusion. But President Obama was careful in both his recent State of the Union speech and his Equal Pay Day speech to use the figure without that inaccurate qualifier. In his 2008 campaign, his literature often used the phrase ‘unequal pay for an equal day’s work’—that phrase is an accurate way to refer to men and women who both work full-time earning different pay. Heidi Hartmann, Ph.D., is a MacArthur Fellow and the president and founder of the Institute for Women’s Policy Research. 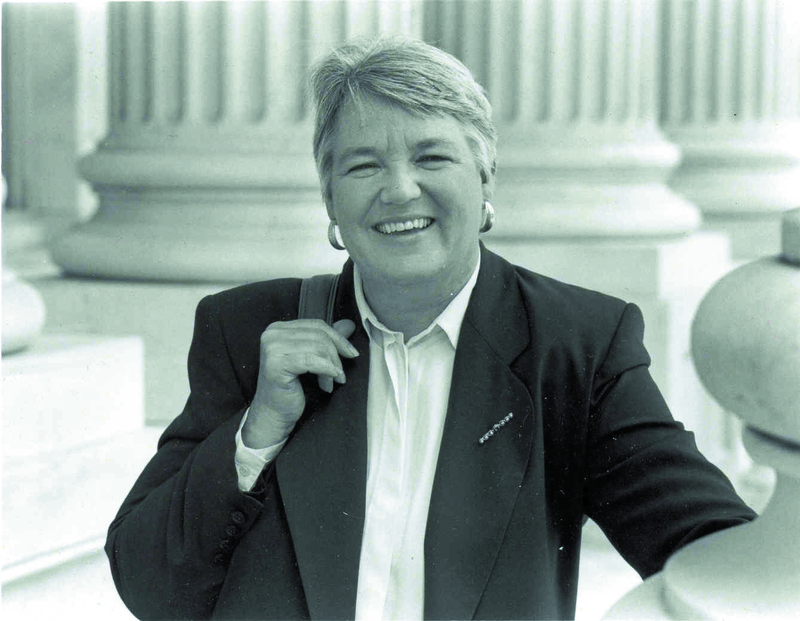 Barbara Gault, Ph.D., is the vice president and executive director of the Institute for Women’s Policy Research. Ariane Hegewisch is a study director at the Institute for Women’s Policy Research. This blog post was crossposted at MomsRising. In its founding year, the Institute for Women’s Policy Research (IWPR) analyzed the costs to workers of not having unpaid leave for childbirth, personal health needs, or family caregiving in its inaugural publication, Unnecessary Losses: Costs to Americans of the Lack of Family and Medical Leave. IWPR’s research showed that, by not recognizing the need for work-life balance, established policies not only failed to support workers and their families, but were costly to taxpayers. Now 20 years old, the Family and Medical Leave Act (FMLA) has become a cornerstone of U.S. employment law and human resource policy. But the law stopped short of ensuring true protection to workers: the FMLA only guarantees unpaid family and medical leave for employees, complicating the economic security puzzle for many workers in the United States. Today, most U.S. employees still lack access to paid family leave. While the FMLA requires that employers provide up to 12 weeks of unpaid job-protected care leave for eligible workers, the lack of a paid parental leave statute means the United States is one of only four countries in the world without publically sponsored paid maternity leave. Paid family leave can bring important benefits to both families and businesses. Yet, many parents with unpaid leave are forced to choose between financial stability and caring for their newborns. In 2012, only 35 percent of U.S. employees had access to paid family leave to care for newborns, adopted children, or sick family members. The lack of access is even more pronounced for lower income earners: only five percent of the lowest paid workers had this option. Workers with the least financial security, and therefore the least flexibility to go without pay, often do not have access to income when taking time off for caregiving duties. As a result, the burden of unpaid leave can be too much for many women to bear: almost two-thirds of those who needed but did not take unpaid family leave in 2012 were women. Expanded access to paid leave would mean substantially increasing the amount of time parents take for caregiving. The impact of the Paid Family Leave program in California, available equally to women and men, gives insight into the difference a paid leave statute could make on a larger scale: the program has doubled the length of leave parents–especially low-income parents–take to stay home with their newborns. It has also significantly increased the number of fathers who take advantage of parental leave, even increasing the length of leave they choose to take. The time parents spend with young children is crucial for their health and development. When that time is paid, the benefits are even greater. Studies show that paid family leave can dramatically decrease mortality rates for infants and children under age 5, a reduction that does not hold for leave that is unpaid or not job-protected. Paid family leave also increases the initiation and duration of breastfeeding, which can reduce children’s risk for serious illnesses, and improve their cognitive development. Working women, in particular, stand to benefit from paid family leave. Paid leave could help narrow the persistent wage gap that continues to plague working women. Women who take paid maternity leave have seen an increase in wages and depend less on public assistance in the year after giving birth. Paid maternity leave also keeps women in the workforce, which increases the productivity of the labor force overall, and could potentially improve gender equality both in the home and at work. Paid family leave has the potential to bring important economic benefits to the country as a whole, as well as to individual businesses. Providing paid leave to federal employees, for example, would save the government and taxpayers $50 million dollars per year in turnover costs by improving recruitment and retention of younger employees. Private industry also benefits from the reduction in costs related to recruiting, hiring, and training. Women in California, particularly those in low-wage jobs, were shown to be more likely to return to the same employer following paid maternity leave than those who did not have access to paid leave. The myriad benefits of paid family leave are clear. And while a handful of states have passed policies that go beyond the federal requirements, there is much to be done to fill the gap left by FMLA and ensure all workers reap the many benefits of paid family leave. The FAMILY Act represents an important opportunity to do just that by instituting family leave insurance for workers. By allowing parents to care for their loved ones without fear of losing their jobs or incomes, the United States would better support the well-being of its workforce, while simultaneously realigning its priorities with the global norm: providing vital paid family leave to its workers. A variety of data sources measure paid leave coverage rates and some debate exists over which source provides the most accurate picture. This post uses the Department of Labor’s 2012 Family Medical Leave Act survey, which surveys workers and worksites on provision and access to paid leave for parental purposes. 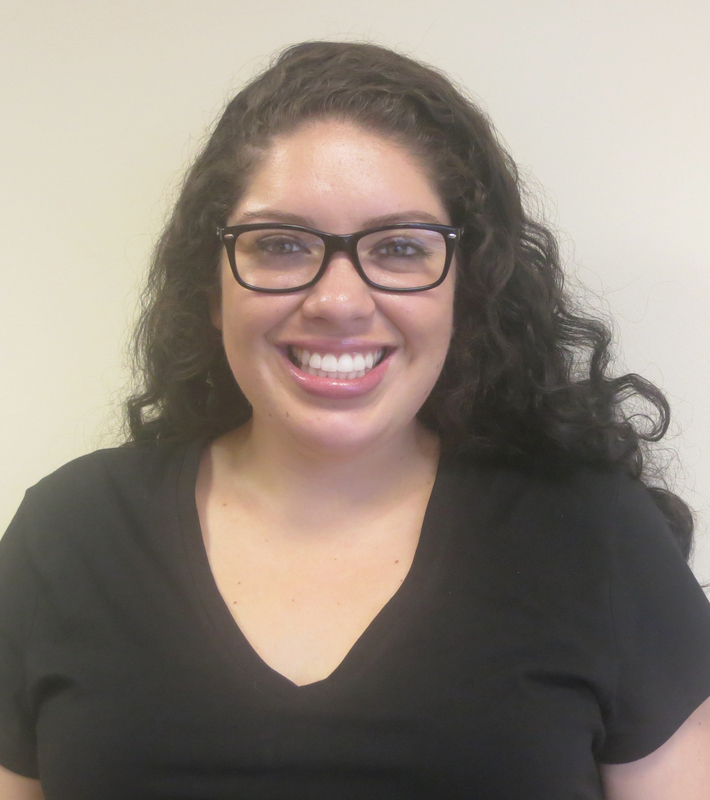 Lindsey Reichlin is the Research & Program Coordinator at the Institute for Women’s Policy Research and Stephanie Román is the Mariam K. Chamberlain Fellow at the Institute for Women’s Policy Research. Fifty years after the Equal Pay Act, employment discrimination persists but is harder to see. When the Equal Pay Act (EPA) was passed 50 years ago, discrimination was, in many ways, openly accepted in the workplace and women were expected to earn less than men in the same jobs. The EPA signed by President John F. Kennedy on June 10, 1963, helped to reduce this type of blatant employment discrimination, but it is still present and the wage gap persists. The Institute for Women’s Policy Research (IWPR) was founded 25 years ago, at the end of the 1980s, the decade which saw the most sustained narrowing of the gender wage gap since passage of the EPA. Between 1981 and 1990, the gender wage gap closed by more than ten percentage points. In the most recent decade, progress has stalled and the gap narrowed by no more than one percentage point. There is no single cause for the pay gap. Jobs dominated by women pay less than jobs dominated by men. Over their lifetimes, women still take off more time from paid work for family care than men. Women also still face subtle—and not so subtle—discrimination when they do the similar work to men. Direct discrimination is still estimated to account for between one quarter and 40 percent of the wage gap, according to several reviews of social science research. Employers can no longer advertise jobs at different rates for men and women. But paying women less for similar performance, giving women less access to career-enhancing opportunities, and making it harder for women to get promoted are practices that continue to hinder progress towards equal pay. Tackling those types of employment discrimination is surprisingly difficult because employees may still be fired simply for discussing their earnings with a colleague or coworker. In an age when information sharing has become widespread and hearing about a major life event over social networking is not uncommon, exchanging pay information remains frowned upon by many employers. Pay secrecy allows disparities, discrimination, and unequal pay to hide under the rug. According to an IWPR/Rockefeller survey, half of all workers (51 percent of women and 47 percent of men) report that the discussion of wage and salary information is either discouraged or prohibited and/or could lead to punishment. The Equal Pay Act does not protect workers against retaliation for sharing salary information with their co-workers. In the public sector, where pay information is publicly available, a smaller pay gap exists compared to the private sector. The 2009 Lily Ledbetter Act provides that every paycheck that pays a woman less than a male colleague for equal or similar work can be challenged in court, but the act did not address pay secrecy. Ledbetter worked for a company that prohibited the discussion of one’s salary. After 18 years on the job, Ledbetter sued when, in an anonymous note from a coworker, she received evidence that she was being paid unfairly. The Paycheck Fairness Act was introduced in the last Congress, but failed to pass to a vote in the Senate. This bill would have protected workers against retaliation for sharing pay information. Women don’t have the time to wait to earn the same as men because their families need the money now. According to the most recent estimate from IWPR, however, the wage gap is not expected to close until 2057. Many women working today will never see equal pay, harming their long-term earnings and leaving them with lower retirement income. In an age where women in the United States are almost half the workforce, are more likely to gain higher levels of education than men, and increasingly are the main or co-breadwinner in families, we cannot wait for another 44 years for the gender wage gap to be finally relegated to the history books. Dr. Heidi Hartmann is President of the Institute for Women’s Policy Research.